Three athletes participating in this year's World Marathon Challenge share their stories. Imagine completing seven consecutive marathons, one per day, for an entire week. Now imagine that each of those marathons is on a different continent. Between races, you must sleep and recover onboard airplanes and fuel and hydrate in airports. This seemingly outrageous concept will soon become reality for a group of 51* runners. On January 30, these runners will begin the World Marathon Challenge: seven marathons in seven days on all seven continents. The runners (who come from 11 different countries) will complete marathons in Novo (Antarctica), Cape Town (Africa), Perth (Australia), Dubai (Asia), Lisbon (Europe), Cartagena (South America) and Miami (North America). We recently spoke to several notable individuals completing the challenge to learn what motivated them to embark on an undertaking of this magnitude. Johanna Garvin is one of 51* athletes who will participate in this year’s World Marathon Challenge. 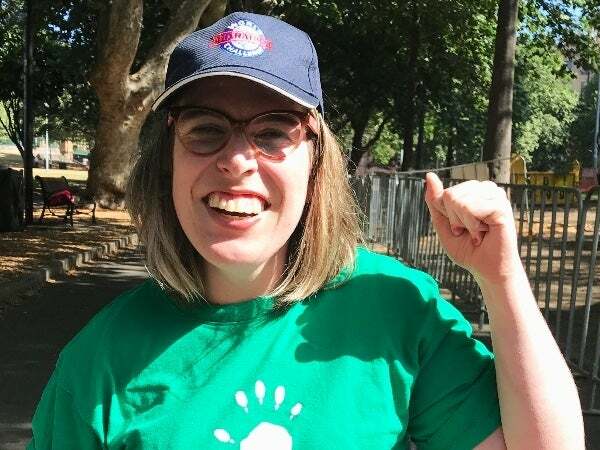 Johanna Garvin, a 26-year-old communications officer and filmmaker from Sydney, Australia, will be the first person to attempt the World Marathon Challenge in a wheelchair. Garvin, who has cerebral palsy, was asked to complete the challenge by her mentor at the Cerebral Palsy Alliance (CPA). “It was a no-brainer; how could I say no? This is a once in a lifetime thing. CPA has done so much for me throughout my life and continues to do so. This is a great way to say thank you to them,” Garvin said. Garvin will complete the challenge with help from a runner with extensive experience. 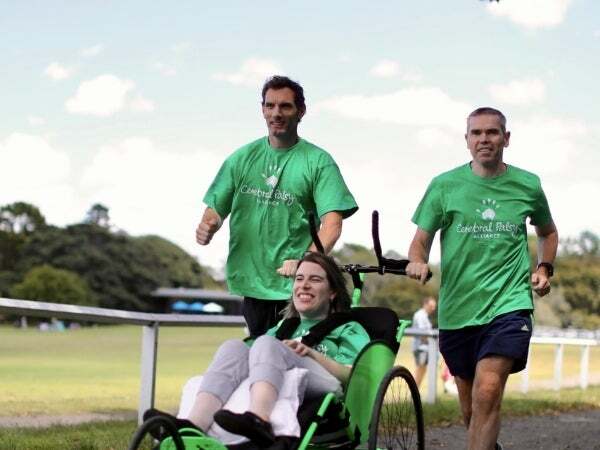 James Alderson, one of the two Australian men pushing her wheelchair, completed the challenge in 2016 with his wife. Alongside Steve Birnie, Alderson will alternate pushing Garvin in a completely customized wheelchair. The aerodynamic chair, which cost approximately $80,000, has two wheels in front and one wheel in back. The chair also has six different sets of wheels, specifically engineered for the various terrains they will encounter. Johanna Garvin with James Alderson and Steve Birnie. Garvin plans to help push when she can and to keep an eye out for potholes. But the very first race has the potential to present challenges that are a bit more precarious. “I am most excited, but also most nervous, for Antarctica. They think that there will be black ice on the runway, so we have had to talk through different ways to manage for that,” Garvin said. David Samson, former president of the Miami Marlins Major League Baseball team, frequently pushes himself to extreme limits in the name of charity. In 2006, Samson, now 49, completed the Ford Ironman World Championship Triathlon in Kona, Hawaii, personally raising more than $250,000. In 2012, Samson ran a double marathon (52.4 miles) and raised more than $600,000 through sponsors and individual donations. Samson’s idea to complete the World Marathon Challenge formulated while watching the ESPN special, Around the World in 7 Days. “I knew I needed to step up and do something a little bit crazier. I watched the special, and it was immediate. I thought, This is next. This is crazy enough that I can raise a lot of money for charity,” Samson said. Immediately after deciding to complete the challenge, Samson started recruiting others to join him. Over the past year, he has organically formed a team of 16 Americans. Some people he knew well, others he just met; some were avid runners, and others had never before completed a marathon. Team Hold the Plane, which seeks to collectively raise $2 million for an assortment of 10 different charities, has met virtually for monthly conference calls and in person for races and training weekends. The entire team will fly on the same plane to Cape Town and will wear custom uniforms and travel gear. 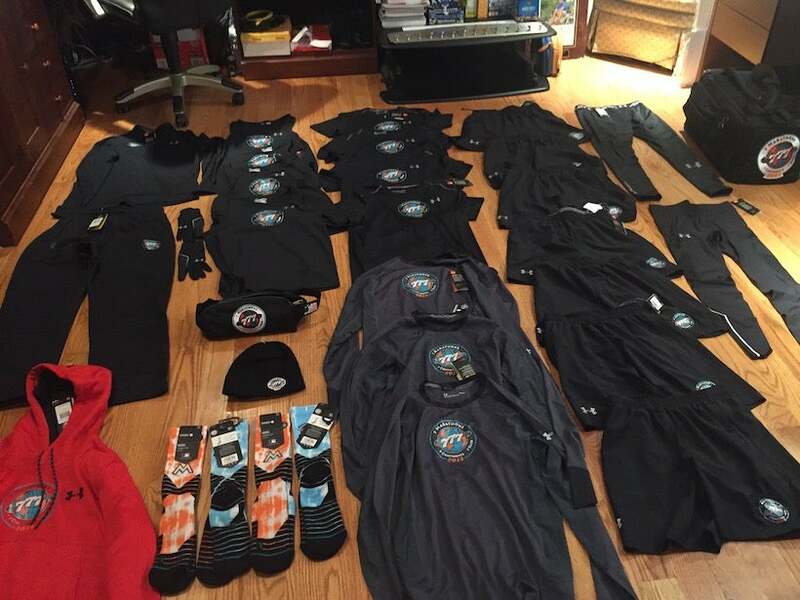 World Marathon Challenge gear for Team Hold the Plane. With his partiality for extreme physical challenges, passion for charity and friendship with David Samson, Dave McGillivray was an obvious choice for Team Hold the Plane. McGillivray has completed Ironman triathlons, 146 marathons and a 24-hour run, swim and bike. He has also run across the entire continental United States not once, but twice. McGillivray, now 63, has gravitated toward challenges that involve running ever since he was a child. At the age of 12, he began running his age in miles on his birthday, and he has not missed a single year. “I like to pick things that are challenging enough that I have to work really hard to get it, but not unreasonable to achieve,” he explained. As the longterm technical and race director of the B.A.A. Boston Marathon, McGillivray knows a thing or two about preparing for races. Despite his extensive knowledge, he has some concerns about the World Marathon Challenge. 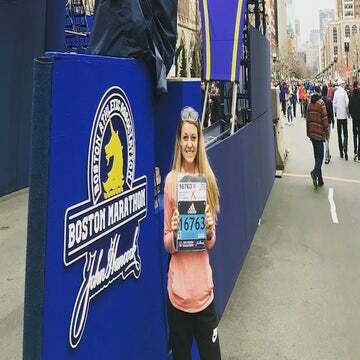 McGillivray is inspired to complete this challenge to raise money for the Marathon Richard Foundation, an organization he has supported since April 2013, when Martin Richard died in the Boston Marathon bombing. “Martin was the same age as my son at the time of the bombing. My son was sitting in the bleachers across the street…so I knew that the bomb could’ve easily been where my son was sitting. I owe it to that family to give back to them,” McGillivray explained. *Editor’s Note: At the time of publishing, the total number of athletes expected to participate in the World Marathon Challenge was 51. However, this number may fluctuate before the first marathon begins on January 30.